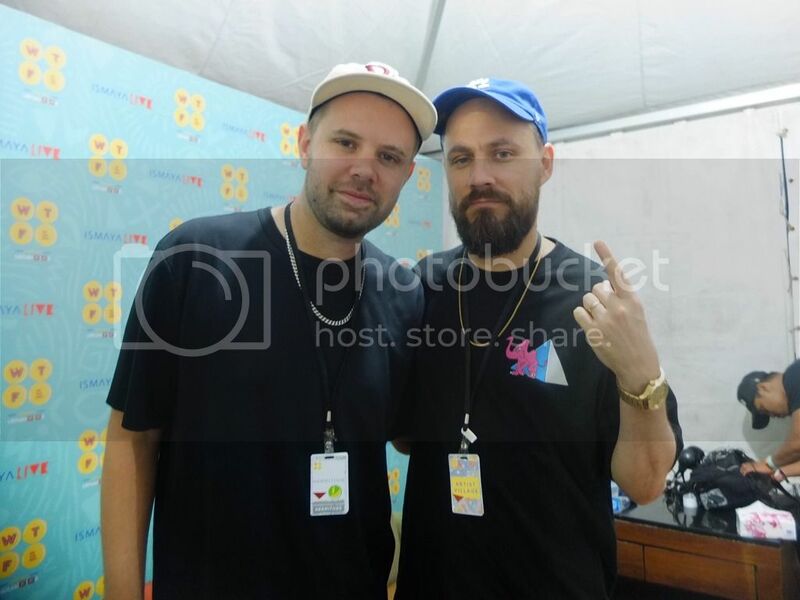 The EDM duo, Hermitude, has been making music in the industry for a long time, which now has made them as one of the pioneers of EDM music today. We got the chance to talk to the friendly pair about their music, remixes and Frank Ocean. You said in an interview that you make music by developing from a simple idea, but it’s harder to work together on a song from scratch together because it’s hard to find the right spark. How difficult it is to find that right spark? - El Gusto: I think sometimes it’s just really depending on how you’re feeling that day as well, sometimes it’s really about the mood or if we really got a strong idea that we really want to try kick off with, and some other times, we might get in the studio and both of us might get a little bit tired or blank and we just go home, cause there’s nothing here. But is it difficult to try and create a song from scratch together? - Luke Dubs : Not really, it’s also thinking outside the box a bit. It’s easy when you’re doing it everyday, to approach it the same way everyday and sometimes it can be a mistake. You have to come in everyday fresh and thinking in a different mindset. So you then start an idea that is fresh and something that you wouldn’t normally try and it pushes you outside your comfort zone. What do you think of this kind of festival (WTF16) that combines different types of music? How do you see EDM will fit into this scene? - El Gusto: I really love festivals that has a lot of different genres. It makes it more interesting for me personally. I like to see lots of different style of music from different areas and places around the world. Sometimes a festival is just one genre all day or for two or three day and it gets a little bit repetitive. I prefer it like this. We see that a lot of EDM artists or musicians like to do remixes of other EDM music. In the past you’ve remixed Flume’s ‘Holdin On’ and Flume did the same for your ‘HyperParadise’. How hard is it to remix another EDM song? -El Gusto: I was actually thinking about that the other day. I think remixing is the easiest when you’re remixing a really good song. I feel like it’s easier for me and for us if the original song is a really strong song. But at the same time, remixing a more electronic, EDM song, can be really fun and challenging as well. But it’s really good when you got a strong core elements to work with. In remixing an EDM song, do you aim to make it sounds like a completely new song or just to make your version of the song? - Luke Dubs: I don’t think we will ever be going to a remix with the intention that it has to be different or to have our signature. Like we were saying before, we want the song to develope itself and given the freedom to become what it wants to become. With remixing, you definitely want to give it your own stamp. I think it’s kinda cool to be able to keep some elements of the original song, so that people know it’s a remix. You can’t just completely change the whole song. Well, you can. People do that. But it’s kinda cool to just kinda flip it but still have some original elements of the original song. Let’s talk about Frank Ocean for a second. How stressed out are you that his album hasn’t come out yet? - El Gusto: I mean common, lets bring it on! - Luke Dubs: I’m not stressed at all. I just feel like there’s so much hype and it will be great when it comes. But, just gotta let the man finish the record. There’s just too much people pressuring him. I’m really excited about it. We’re both massive Frank Ocean fans. I can’t wait to hear it. I really hope Frank comes with a really great record. Which I’m sure he will. Last question, what’s your favorite thing to do to beat boredom on tour? - El Gusto: Reading is good. - Luke Dubs: Reading, listening to music. Sometimes when you’re on the road, you don’t feel like doing anything, it’s good to make yourself do something. Write some music, when you don’t feel really productive. But once you start, it kinda snowballs into something really cool. So it’s good to just force yourself a little bit.